Sochi Winter Olympics | Eastwood Patchwork Quilters Inc.
Have you been watching the Winter Olympics in Sochi? The bravery and skill of the athletes amazes me, no way would you catch me hurtling down a mountain head first on what looks like a travel ironing board! But, I am really loving seeing patchwork everywhere through the games. On the banners, the competitor’s vests and all types of signage. The designs are, of course, based on a patchwork quilt. The designers, Bosco, wanted a design that would reflect the traditions of the Russian culture and reflect the ideals of the Olympic Games. They stated “they had a wealth of choices to represent Russia’s rich diversity, but in the end we settled on something familiar, warm and welcoming: the patchwork quilt”. Patterns in the quilt pieces were taken from fabrics, ceramics, folk art painting and clothing. Its fantastic to see quilts being used in such a high profile way, maybe it will encourage a few others to take up this traditional art form. 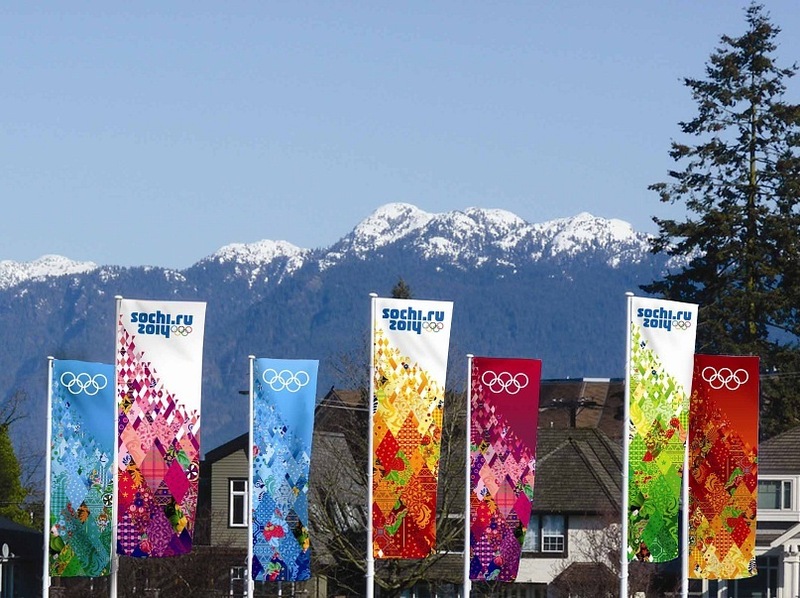 The official Sochi.ru website shows the patterns that were used to derive the designs, there is a sliding bar that links with images of the patterns that link to information about each pattern and photos showing the location of the patterns in the banners. Its well worth a look. Click here to be taken to the site. Then click on Look of the Games.